In order to obtain a greater impact on your stay and experience we recommend that you book a personal Spa Consultation in order for us to develop a program to suit your individual needs, assisting you to reach your goals during your visit. Explore a medley of indulgences that have been created for your relaxation and wellbeing. 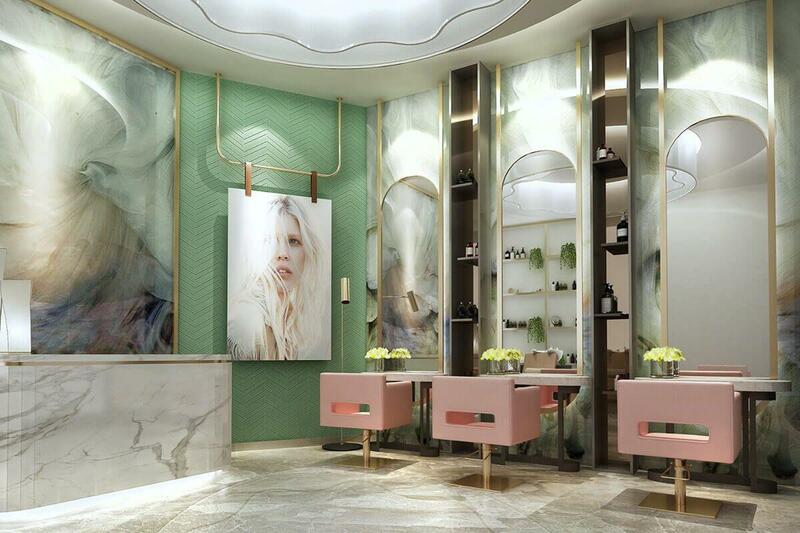 Discover pampering offerings that are deeply steeped in Spa tradition, each uniquely imaginative and exhilarating. The signature selections draw upon the healing powers of nature and ancient philosophies. We are confident that you will be delighted with our collection of treatments, carefully chosen for the ultimate experience. A blend of selective techniques from traditional Shiatsu, Thai, Swedish and Balinese massages are combined to offer sheer bliss using finely crafted organic aromatic oils. This deeply penetrating massage was custom designed by our expert team of therapists to reduce tension, stress and anxiety from your body. Targeting specific muscles your therapist will use a unique warming oil to create a deep penetrating heat while applying a range of techniques and pressures concentrating on your areas of concern. Relax in the splendor of the Hamam as the heat and delicate aromas prepare for you with body polish and foam massage. Savor the warm glow from the marble as your hair is shampooed and your scalp is massaged followed by moisturizing conditioner. While your body is enveloped in an ultra nourishing masque enjoy a facial masque to revitalize your complexion. You will be radiantly refreshed with delicate perfumes. Our Private Spa Suite allows you complete privacy to enjoy the ultimate spa experience. The Spa Suite is perfect for sharing indulgent relaxation time with a friend, loved one or simply by yourself. Treatments in Spa Suite are accompanied by special offerings and premium drinks for a pampering retreat in your privacy. Created for just the two of you, this ultimate massage allows you to enjoy quality time together within the sanctuary of your private Spa suite. Begin with an indulgent 30 minutes to bask, relax in the milky Jacuzzi enjoying each others company in a private and opulent setting. Proceed to enjoy a side-by-side massages in our Signature Spa Suite. A Tea Ceremony will be served to finalize this mystifying journey. Enjoy new sensations and discover traditional recipes from Africa, Mexico and Polynesia, that can relax you and get you back with the rhythms of nature. The journey begins with the smell of paradise flower Monoi from Tahiti and indulges the aromas of ground Arabic coffee, by gently peeling and cleansing the skin from dead cells. Polynesian massage with tapping wooden sticks and oil soothing balms, unwittingly wraps the body to send it through an Authentic Journey. The journey concludes with a tea ceremony with delectable Ottoman desserts and fruits served while spending quiet moments in the Suite Room. Our facials begin with a detailed consultation. The unique analysis system Dermo Prime offers an in-depth analysis of your skin. A full reading of the face is performed using sensors to measure factors such as hydration, pH, pores, sebum, elasticity, wrinkle depth, pigmentation and more, after which we can design bespoke programs to suit your needs. Enjoy a restorative facial, designed to protect and balance your skin, beginning with a gentle exfoliation. Float away with a complimentary hand or foot massage whilst a purifying face mask deeply cleanses and repairs your complexion. Finally, complete your experience with an eye, face and neck moisturizer, infused with powerful anti-oxidants. A purifying treatment for oily and combinations skin. With natural anti-bacterial properties, they penetrate deep into the skin, helping to regulate sebum production. The treatment refreshes and balances, leaving the complexion super clean and fresh. After the treatment your skin will be purified and gain a fresh appearance. This treatment is designed for delicate, sensitive and dry skins in order to reduce redness immediately while nourishing the skin. Excellent defender against free radicals, this deep care, full of freshness, restores suppleness, comfort and softness to the skin. Ultimately perfect treatment for a more radiant and healthy skin. Collagen care stimulates growth of elastin fibers in facial and neck areas, whose decrease causes reduction of the skin elasticity, facilitates increase in peptides and active collagen production. Revitalises and tightens the skin. Anti-Oxidant treatment which boosts the skin’s defense mechanism. It protects against the action of free radicals, treats biological aging, photo aging and improves skin dyschromias. Powerful alternative lifting treatment based on proteins, which strengthens the connective tissues of the skin, smoothes wrinkles, maintains high levels of collagen and elastin and activates the cellular communication between skin and chorion. It tones the skin and restores firmness. Complete program “illuminator of complexion” to answer problems of hyper pigmentation, brown marks or dull complexion with natural ingredients. It helps to inhibit the TYROSINASE responsible for the melanin synthesis and to fight against the pigmentary spots. Thavma Therapy is based on the EFFECTOX ™ technology that inhibits the mechanism that is responsible for the creation of expression lines and wrinkles. It also offers protection from the main types of aging (biological aging, photo-aging). 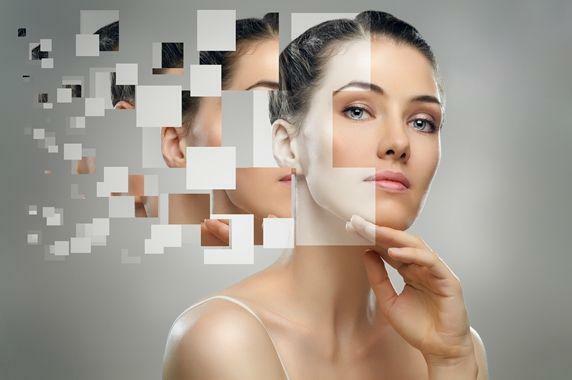 Chronos Therapy is a treatment that prevents and combats the marks of aging of the skin. The therapy acts as a protective shield of the skin, against three very severe enemies: the lack of water, the biological aging and the oxidative deterioration caused by the environment. Opsis Therapy is based on the high-end technology of ANTITOXTM, that deters the appearance of wrinkles and black circles. At the same time, it combats swellings and dehydration, by activating and reinforcing the natural function of cells in the sensitive eye contour area. The gaze gains depth and charm, reflecting your mood for life. Body treatment suitable for the treatment of cellulite and topical fat. The products used in this application are rich in active ingredients that activate the process of lipolysis and contribute in cellulite reduction. The skin becomes smoother and the body regains its shape. Therapy is a complex process that activates lipolysis, combats locally accumulated fat and cellulite. The herb mixture of Spongilla, Fragilis and Ephydata plays a key role with a different third action (lipolysis). This mixture combined with the A2 BLOCKERS ingredient contributes to the activation of the human’s organism complex process of lipolysis. Body treatment effectively treating topical fat and cellulite. It increases blood circulation and stimulates capillary microcirculation, which result in promotion of cellular metabolism. It decongests the tissues by combating cellulite and stimulates the process of lipolysis. Laminaria Seaweed, which is very rich in vitamins and minerals, refreshes skin. As a result of the body being wrapped with seaweed, metabolism speeds up and a slimming effect and also a detox effect is achieved. With deep cleaning, exfoliation, painless extractions and intense hydration plus Vortex-Fusion of antioxidants, peptides and hyaluronic acid, it is sure to become a beauty favorite. Design and technology combined together in one extraordinary multitasking device. Thanks to the synergy of 5 technologies, QUIN5 provides a solution for every imperfection. Equipped with an intelligent and intuitive touch-screen display, the device offers a total customization of each treatment, according to the different needs of face and body. Reduce cellulite and sculpt your entire body with QUIN 5. Combining the photobiostimulation, the ultrasound with the quadripolar radiofrequency leads to a very relaxing and an easy treatment to do. Perfect to boost the cellular metabolism, to firm, to tone and to hydrate the tissues with an anti-aging action for the body. Vacuum technology is then applied to increase circulation for faster fat burning. This technology promotes better oxygenation, resulting in a consequent reactivation of the peripheral circulation and a consequent drainage of the liquids accumulations with a positive effect on the tone and skin elasticity. It’s also possible to obtain an improvement in the appearance of orange peel skin. Utilizing a combination of massage techniques to manipulate the muscles with pure aromatherapy oils customized for your desired results, this therapeutic treatment is both relaxing and invigorating, and can assist the circulatory lymphatic nervous systems and balance the body. The Swedish styled massage focuses on increasing circulation and overall wellbeing to the body. Tension will melt away and overall equilibrium will be restored. This massage that allows lymphatic fluid to flow freely by stimulating the lymph vessels is ideal for heavy legs, cellulite, fatigue and headache. Get rid of orange peel skin with this massage that is done using special techniques against cellulite formation... The cellulite massage is mostly efective in legs, hips and belly area. This innovative and results-oriented approach uses precise techniques and pressures that work to enhance muscle recovery and intensive healing-great for post exercise and relieving daily tension. The massage techniques combine deep tissue muscle work and circulation-enhancing strokes to decrease soreness. This concentrated massage of the reflex points in the foot reaches the whole of the body and the organs. In this way, energy blockages are removed and the strength points of the body are activated. Far Eastern Massages consist of a few selected therapies to relax the body, the mind and the soul, while providing additional benefits. In the massages, the nourishing sweet almond oil is used to obtain the extraordinary relaxation and benefits. Traditional Balinese massage is a seamless blend of acupressure, skin rolling and firm, smooth strokes that stimulate energy flow and circulation whilst creating a deep sense of relaxation. Pure aromatherapy elixirs specific to your body type and your desired results are applied for maximum results. Mandara 4-hands massage is performed by two therapists working together in rhythmic harmony. This massage combines Japanese shiatsu, Thai massage, Lomi Lomi, Swedish and Balinese massages in one application. Deep Asian massage provides a deeper and stronger effect with elbow touches added to traditional Balinese massage. Traditional Thai acupressure practitioners, applies pressure to certain points along the body’s meridian lines to loosen muscular tension, to increase joint flexibility and to clear energy blockages. This massage, part of traditional Thai therapies is being used for a long time to improve the free flow of energy within the body and to feel good and healthy. Thai aroma massage is a massage performed with stretching movements applied to the body’s muscular and nervous system. While the movements increase elasticity of the muscles, the aromatic oils used offer a fantastic relaxation ceremony. The massage is performed with changeable and connected movements of the lower arm and the elbow allows the joints to relax and brings a spiritual serenity. Each pressure is applied tightly to the body, reducing muscule tension and suporting blood flow. Shiatsu is a traditional Japanese treatment art and it means “finger pressure”. 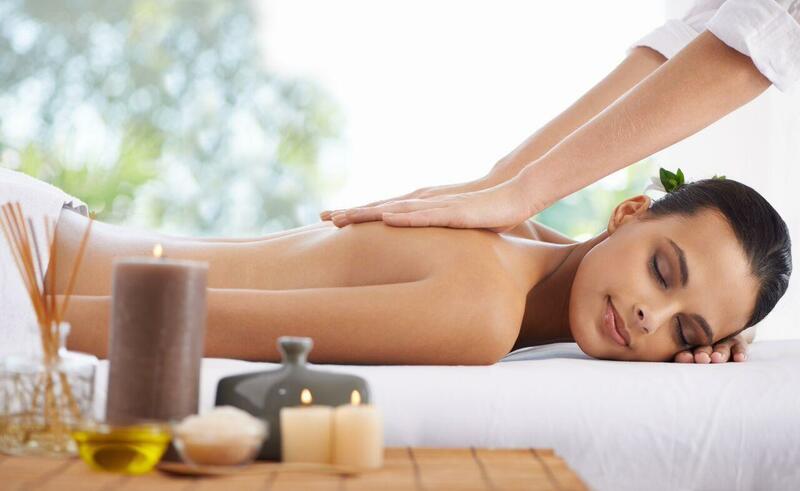 The pressure applied during the massage revitalizes natural energies within the body. This revitalization balances the body and keeps it healthy. Shiatsu is performed on the floor in comfortable attire. Massage and the heat of the stones provide a very strong energy flow to body, the blood circulation in the tissues increases and lactic acid found in tense muscle groups is discharged. Ayurveda is an ancient Indian healing art and it means “science of life”. At the basis of this ancient Indian healing art that has been applied for more than a thousand years lies the balance of the body, mind and spirit. Indian head massage is done by applying pressure to certain points of the décolleté, head, face and shoulders. It stimulates blood circulation in applied areas and reduces chronic pains. Shirodhara is a relaxing and calming application in which the Ayurveda oil that is proven to have positive effects on nervous system and stress is poured slowly over the “Ajna” (the temple chakra) and afterwards over the “Sahasrara” (the crown chakra). 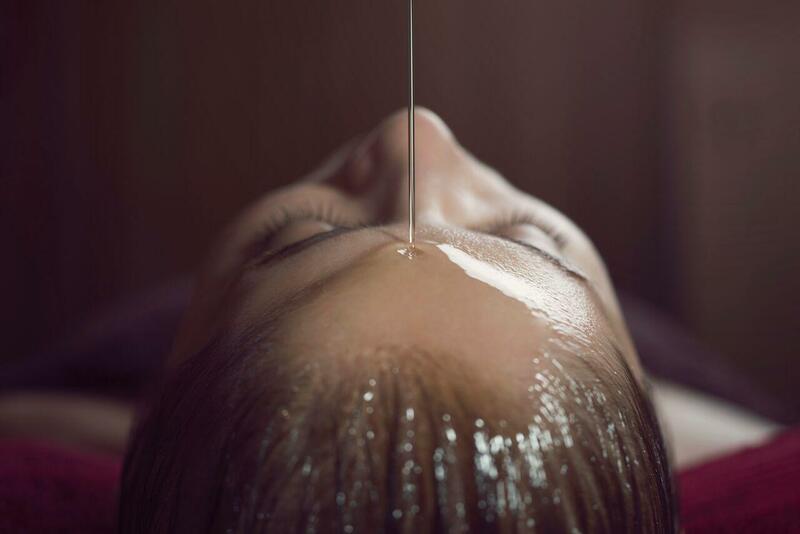 This traditional massage performed with Ayurveda oils, activates the blood circulation and energy flow, strengthens the defence mechanisms of the body and helps remove toxins from the body by stimulating energy channels. Shiroabyanga is an impressive combination of abhyanga and shirodhara, which relaxes your body, mind and soul with hot and spicy oils and cleanses the energy channels. Awaken your inner senses with this ancient Indian practice of mind, body and spirit. Our specialist will customize your sessions and through a sequence of poses helping to cleanse, purify and energise. The power of the breath helps with meditation and self-reflection, while the movements, build body awareness, balance and muscular control. Customised yoga tuition with our instructor will ensure you get the most out of each session. Nasya is particularly useful in the treatment of diseases occurring in the organs situated above the clavicle. It involves a brisk massage over the sinus area using a warm blend of herbal oils. It specifically provides strength to the head, nose and neck. Especially effective for the relief of sinus congestion, migraines, hormonal imbalance and high fever. A special technique aimed at providing relief to the lower back using warm medicated oils or herbal decoctions when bathing the lower back. It is useful in chronic and acute backaches, prolapsed disc, lumbar spondylosis, osteoporosis and sciatica. This treatment includes bathing the back side of the neck using warm medicated oil or herbal decoction. It is very useful in cervical spondylosis, chronic pain in the neck region, compression fractures etc. The healing properties of herbal oils used for this basti deeply clean and fortify the blood, build strong muscle and connective tissues, and lubricate the joints. This special technique is aimed at providing relief by bathing the knee joint in warm medicated oil. It improves blood circulation and nutrition of the knee joints, increases the mobility of the knee (knee flexion and extension), eases the pain in the knees and reduces movement problems. Hamam is a ritual that spoils the body with the unique combination of exotic aromas and intense heat. Begin this authentic body cleansing ceremony in the tranquil ambience of the hamam. Relax and unwind as the gentle heat softens your skin preparing you for a body exfoliation with a kese on the heated stone bed, followed by a aromatic rose essence foam massage to help relieve muscle tension.The Hamam experience is concluded with a personalized and refreshing hair wash. We suggest you continue with a massage of your choice. A hydrating aromatic rose esence foam is massaged onto the body in rhythmical strokes helping to calm and nourish. The experience is concluded with a refreshing hair wash. Guests are encouraged to unwind in the Relaxation Lounge after the experience where light refreshments are served. This is an innovative hammam treatment utilizing Turkish coffee which visually refines and smooth’s the skin, leaving it more firm and toned. Based on the traditional hamam sequence of exfoliation and foam massage, the ritual finishes with a full body coffee peeling to awaken the senses, benefiting the skin and mind. 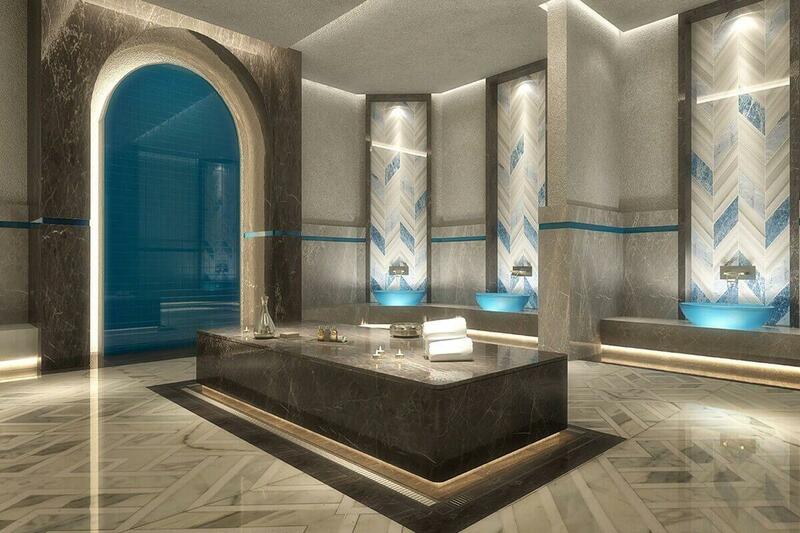 Steam creates a relaxing effect, the body is heated up and the skin softens in the Turkish Bath. By rubbing the body with the kessa mitt, the skin smoothens and softens, and stimulated blood circulation relaxes all the muscles. This exceptional skin softening body exfoliation combines sea salts with essential oils to leave your skin nourished, smooth and supple. Perfect as a stand-alone treatment, or in preparation for a massage. During this express treatment we will cleanse your skin followed with a customized mask and moisturizer selected for your skin type. This is a great way to relieve any stress in your day and keep up with your professional skin treatments. Indulge in our aromatic bath to leave your skin soft and hydrated. 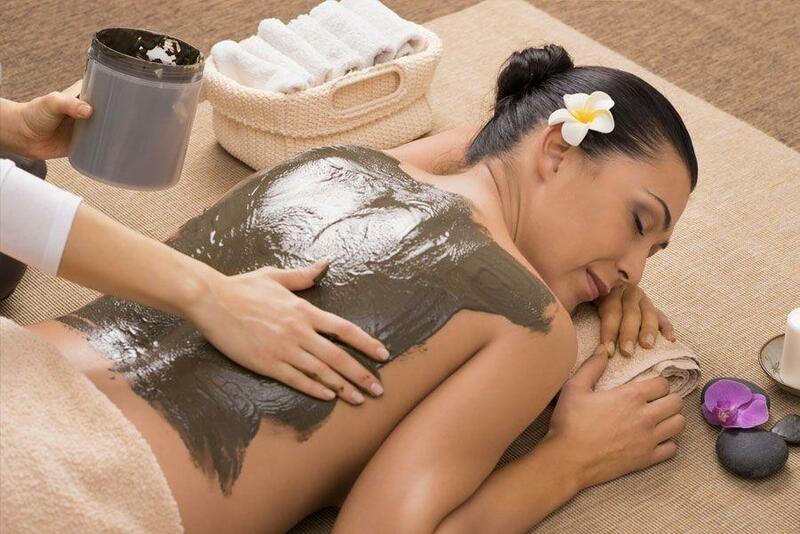 The perfected addition to any of our sıgnature massages to complement the body and mind for relaxation. Firming treatment, specifically for the delicate neck area. It contains Matrixyl 3000 which stimulates the production of collagen, fibronectin and hyaluronic acid from fibroblasts, thus smoothing wrinkles and firming the skin. Intensive treatment with instant lifting effect that produces a real “wide open eyes” sensation. It smoothes wrinkles, firms the skin, treats puffiness and dark circles around the delicate eye area. 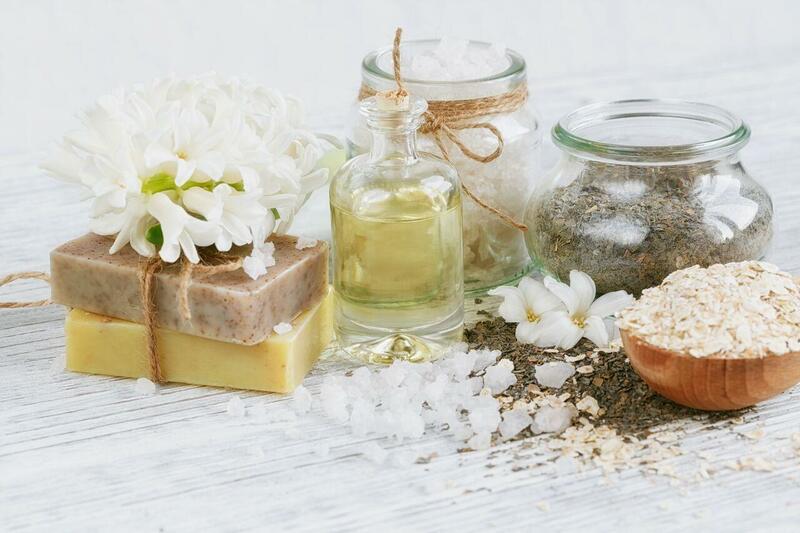 After our pleasant SPA applications, the Vitamin Bar is an ideal place for those who want to recharge their energy with the natural products offered. You may choose among herbal teas, detox teas and freshly squeezed seasonal fruit and vegetable juices. So, you made the resolution to "be more active" this year? This is your chance to keep it! 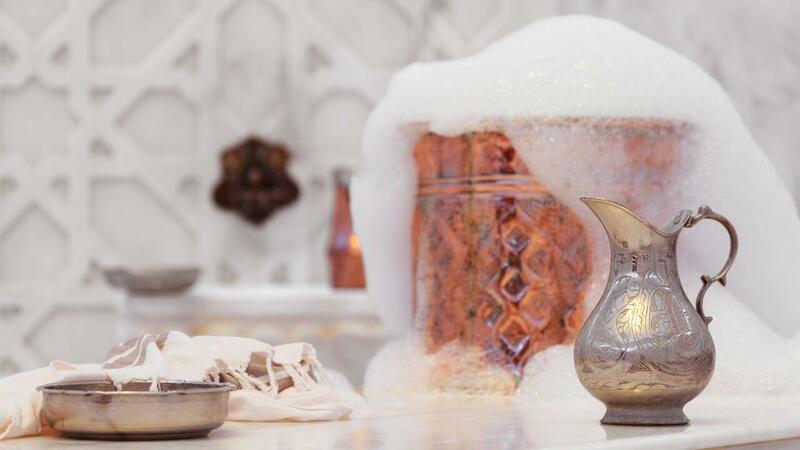 Enjoy the scrub & foam treatment and relax at our hamam. A special occasion? Our Hairdresser is at your service. Sensum Spa aims to offer customers an unforgettable experience. Our expert staff will ensure that guests feel good and have an authentic, holistic experience. Please allocate at least 30 minutes prior to your treatment to allow yourself ample time to change and enjoy the facilities. Please take a shower before your massage. This helps you to experience an even more pleasant feeling during your treatment. A two-hours cancellation notice period is required to avoid being charged 50 % of a scheduled appointment. Due to other guests’ bookings, we are unable to provide an extension of scheduled treatments and full value rate of service will be charged. We highly recommended booking your treatment in advance to ensure that your preferred time and service is available. Please do not bring valuables to the Spa. Lockers are provided however; Sensum Spa, Lujo Art&Joy Hotel cannot assume any responsibility for lost or stolen items. At the time of reservation, please advise us if you are using skin medication, have allergies, have recently undergone cosmetic surgery or are pregnant. Acknowledging these conditions will allow us to make the relevant arrangements. The spa will provide towels, bathrobes, slippers and disposable underwear where applicable for your use. Undergarments should be worn to ensure your complete privacy and modesty throughout your time with us. Sensum Spa promotes a tranquil environment. As a courtesy to our other guests, please turn off all mobile devices or place it on silent mode. Any sound or music equipment must only be used with headphones. We do not allow eating in the Spa area. However, we do allow drinking as it is important to drink plenty of water two hours before and after exercise, massage or body treatments, in order to flush toxins from the body. To continue your Spa regimen at home, all Spa products used in the treatments and services are available in our Spa boutique. Unopened retail products can be exchanged within ten days of purchase, if presented with the original receipt. No cash or credit card refunds will be processed. Gift products and treatments are available at Sensum Spa boutique. Please ask at Spa Reception.